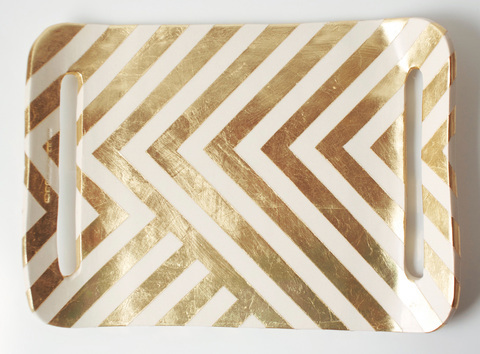 This open edition of Zag Trays is hand gold leafed in a chevron-inspired pattern unique to each tray. This piece is happiest on display in your entryway, on the dressing table, or sparkling on a mantle. Not intended for food service. Sponge wash gently.